Scottish fashion designer Iain MacDonald of Dead Sleekit is celebrating. He’s achieved 118% of his Kickstarter – Dead Sleekit Campaign reaching an incredible £4,786 (his target was £4,000 in four weeks), and with 140 backers, allowing him to start work on his second collection. The campaign ended on 28th February 2016. Here’s his incredible story so far. Dead Sleekit is the brainchild of Glasgow-based Iain MacDonald. 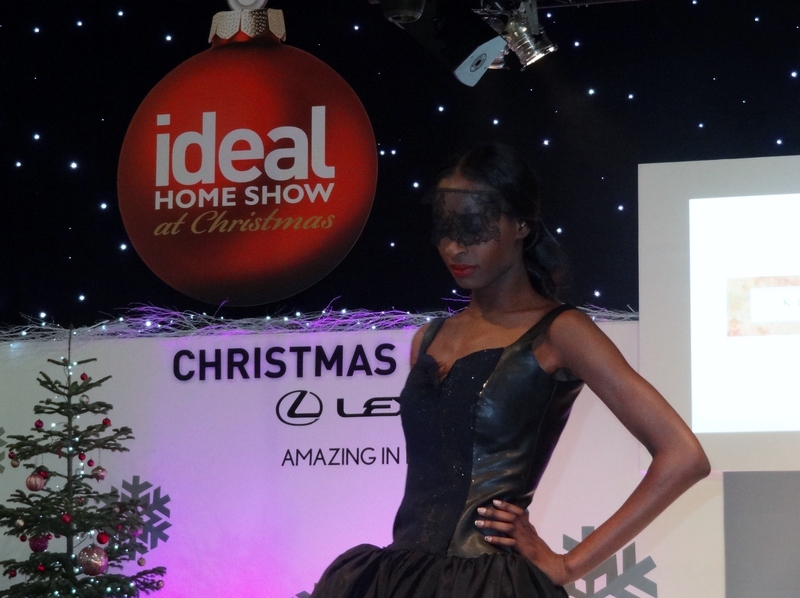 A former Herald Scotland Graduate of the Year, Iain designs “wearable art”. He draws delicate and intricate prints by hand, which are then put together digitally and printed on a mixture of jersey and mesh. 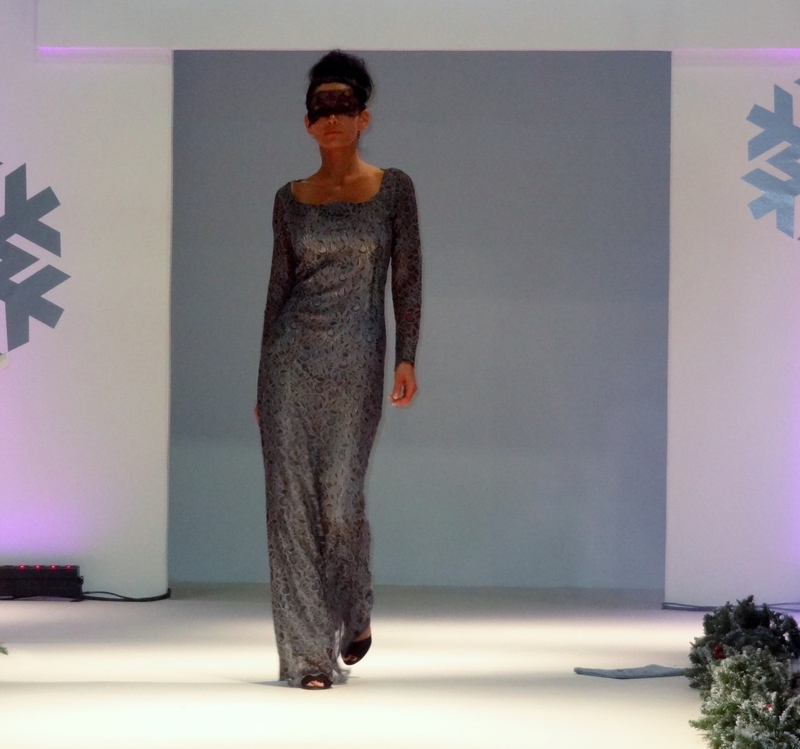 The results are wearable clothes in simple easy to wear shapes but their incredible prints make them stand out from the crowd. Keeping everything Scottish, Iain uses local printing and his clothes are manufactured in Glasgow’s east end by a trusty band of seamstresses based at BeYonder Textiles, part of BeYonder Ltd, a great social enterprise company who call themselves ‘A Profit for Purpose Organisation‘. 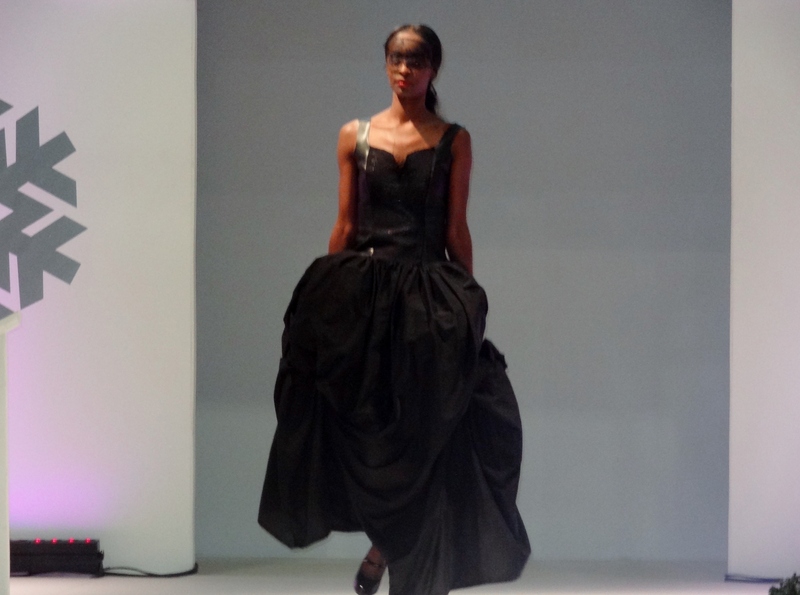 And with prices ranging from £30 – £80, it’s making wearable art accessible. With his first collection under his belt, Iain turned to Kickstarter to help him fund his second collection. Kickstarter state “Our Mission is to help bring creative projects to life”. Iain’s success is a good example of a well thought out Kickstarter campaign. It ticked all the boxes. If you are considering Kickstarter, here’s a few things to consider. Everything on Kickstarter must be a project. Have a clear goal. Set a realistic target/challenge/time scale. Ensure your project is attractive, desirable and sought after. Show your project off, market it well, use great images, or video if you have any. Make the price range pledges accessible. Dead Sleekit’s pledges ranged from £1 to £290, with everything in between. Ensure people are suitably rewarded. Dead Sleekit offered a bow tie for £8, exclusive art works for £15, a screen printed t-shirt for £20, posters for £35, designer clutch bags for £75 and a bespoke designed dress for £290. Keep the momentum going. Engage with people. Use your networks, constantly update social media, give progress reports, reminders, use countdowns, get your pals to spread the word. Word of mouth still works wonders. Give thanks. Dead Sleekit thanked people along the way. See the half-way point personalised ‘Thank You’ image below. At campaign end – post an update, but it doesn’t end there. Keep communicating with your new customers. Dead Sleekit promises his backers a secret Snapchat account with sneak peaks of behind the scenes progress. I asked Iain to give a quick insight into Dead Sleekit. Tell us a little bit about your background and training? I studied and specialised in Textiles and Surface Design for fashion at Grays School of Art in Aberdeen. Prior to that I studied Graphic Design and Fine Art. I tend to use my my love for fine art and graphics in my textile designs for my clothing label. During my time at Art School I did a placement at Alexander McQueen. Tell us about your business – Dead Sleekit, and your first and limited collection which was called Veranico. 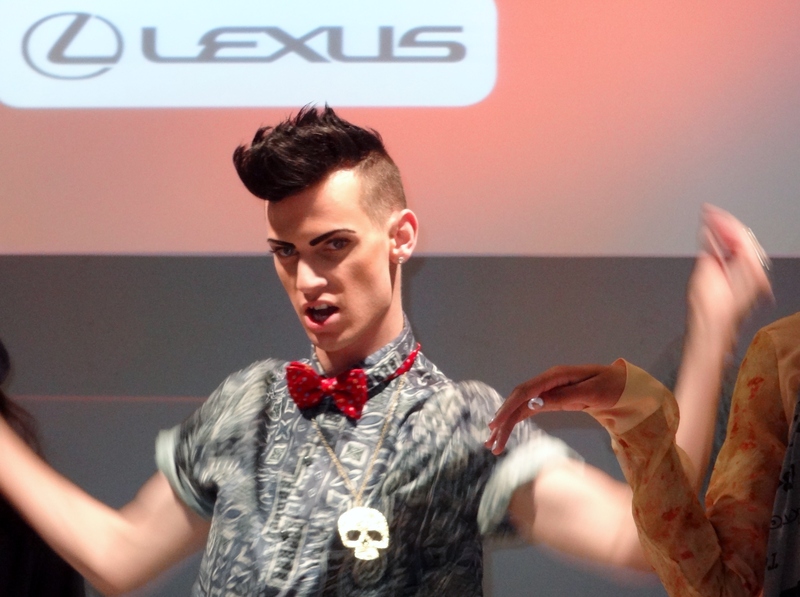 Dead Sleekit is a clothing label that loves print and emphasizes print through each collection. Every collection has meaning behind it and is derived for love in Art, stories and music. You’re about to start work on your second collection – what we can expect? How will it look? The collection is inspired by American Horror Story, although this concept is quite dark it will have a pastel colour palette. You’ve used Kickstarter as a way to fund this collection – how does this work and where does the money go / what does it help to fund? Kickstarter helps a new business (or an existing business) to start a project which gets people involved. The aim is to raise money towards a project and also give back to people who pledge by offering exclusive rewards. We are offering bespoke scarves and dresses as well as prints and more unique gifts. For people who donate and participate in the Kickstarter – what’s the benefits? 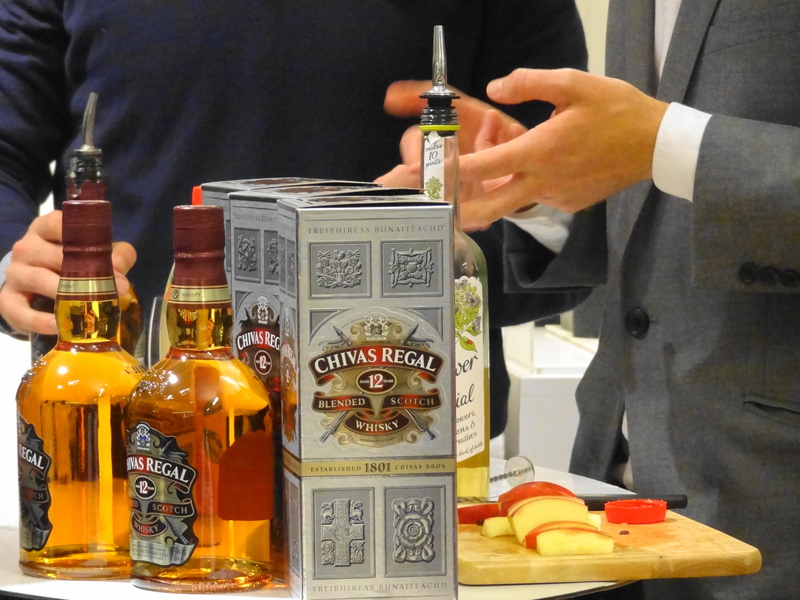 The benefits are backing an independent brand and watching them grow from the beginning of their development. Also, getting some exclusive rewards and one of products from the project. You’ve exceeded your target of £4,000 to fund your collection – well done! What happens next?! I will be working away frantically and excitedly on everyone’s rewards. It also means the new textile prints I’ve been working on will be digitally printed to fabric so I can start working on my new collection. Thanks to Iain MacDonald of Dead Sleekit for this little insight into his work and Kickstarter. 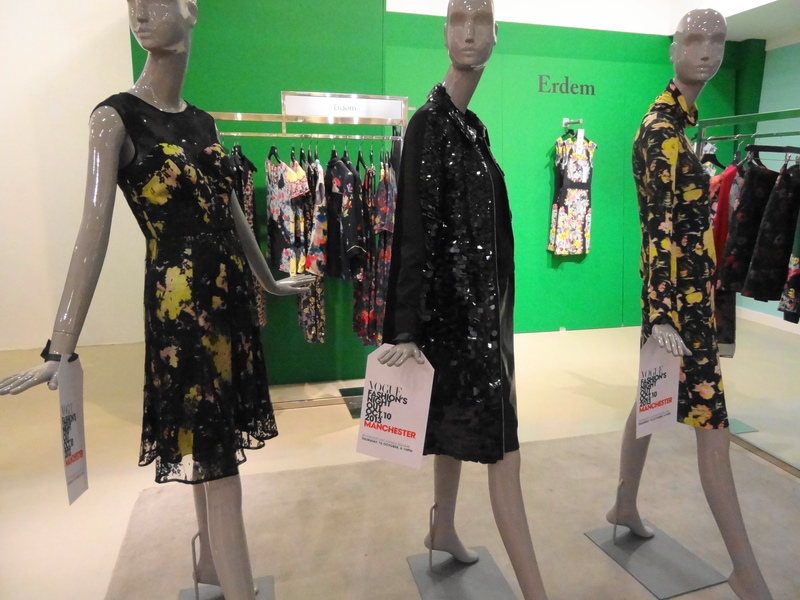 Good luck on the new collection – can’t wait to see it! 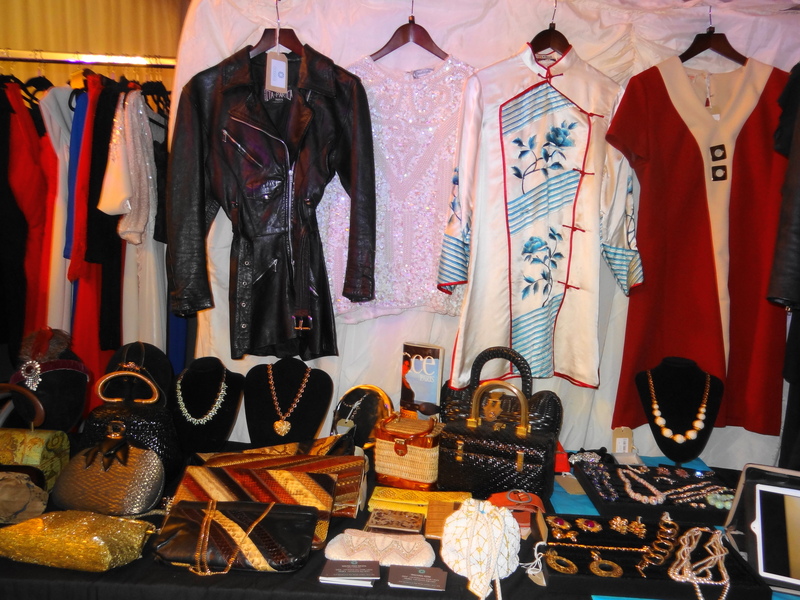 Meanwhile – here’s a little view of his previous collection – see below. Glasgow-based singer Horse may not be occupying the charts but she commands respect and has gravitas. September 2015 saw her celebrating the 25th anniversary of her breakthrough album The Same Sky, which upon its release, gained critical acclaim, with standout songs such as The Speed Of The Beat Of My Heart, Breathe Me and Careful. The latter of which was covered by Will Young at VFestival in 2009. Rightly recognised as someone with a vast musical knowledge, married with life experience, she’s now a wise Scottish stateswoman, who gets called upon to host radio shows, comment on the music industry, she gives master classes to help up-and-coming artists and is an ambassador for The Clutha Trust. She also continues to bring much emotion to many people who find solace in the words of her cathartic songs. Reaching people is important to Horse and it’s also apparent she still loves to perform. She has a faithful following who want to hear her. And when you sound this good – who can blame them? Horse still boasts one of the most remarkable voices in Scottish music. I saw her recently at her annual Wintersong in December at The Union in East Kilbride, a small intimate venue, decked out with fairy lights. She ran through her songbook and sounded impeccable, even though she struggled with a heavy cold, an affliction which often causes Horse distress due to her asthma. When she sings it’s a very physical act as she puts everything into her voice, so the strain this puts on her can be quite considerable. She’s a great storyteller who loves to chat, and the night was peppered with funny and sad stories, as well as dedications to the audience and great songs. Careful never fails to move the crowd and renditions of God’s Home Movie and Sweet Thing also stand out, as well as the cover of Dusty Springfield’s I Close My Eyes And Count To Ten. The video below shows Horse singing this cover version at a previous Wintersong gig in Edinburgh. This year Horse has already got dates in her diary. You can find her hosting the Gaia Women’s Supper at the Beardmore Hotel and Conference Centre in Glasgow on Friday January 29th. It’s a take on the traditional Burns’ Supper, but for women, and it’s all for a good cause, with money being raised for the Stonewall Scotland charity. Included in the price is a three course supper and entertainment. It looks set to be a great night. You can buy individual tickets priced at £49 or buy a table of 10 places for £490. Horse also appears in an exclusive cover feature and interview in this month’s Gaia magazine out now – January 2016. In March she’s touring the UK with a series of dates which will include Newcastle, Liverpool and Ladock in Cornwall. And April will see Horse with a full band at Glasgow’s Fruitmarket on the 16th of the month. 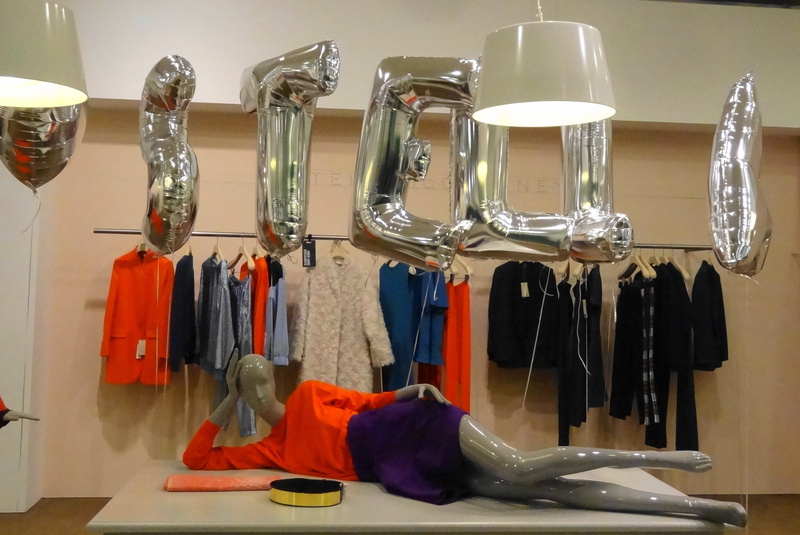 Michelle Mone OBE opened her first-ever Scottish concession store on October 9th, 2014 in House of Fraser, Glasgow. It’s the first store of 12 and fittingly in her home town. 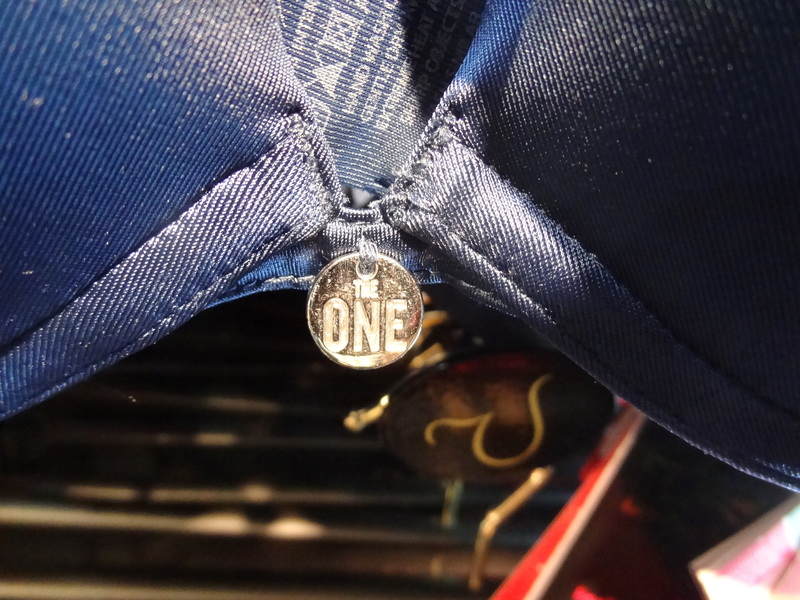 The store will allow customers to be fitted and for people unsure of buying bras online for fear of getting a wrong size, it’s a perfect solution. In a well presented display you’ll find an array of colours and styles and everything from the everyday functional pieces to underwear for a special occasion. 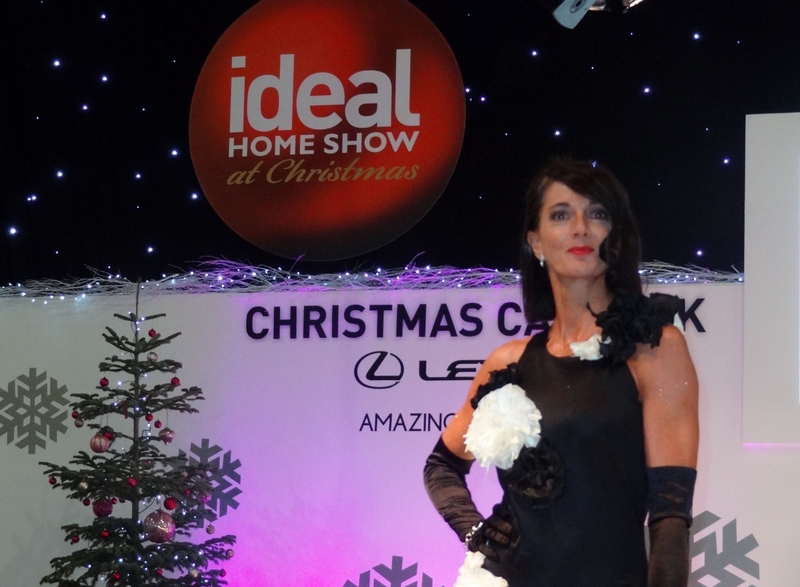 At this year’s Ideal Home Show at Christmas, which was held at Earls Court, London during 13 – 17th November 2013, glamor and inspiration came from Models of Diversity. 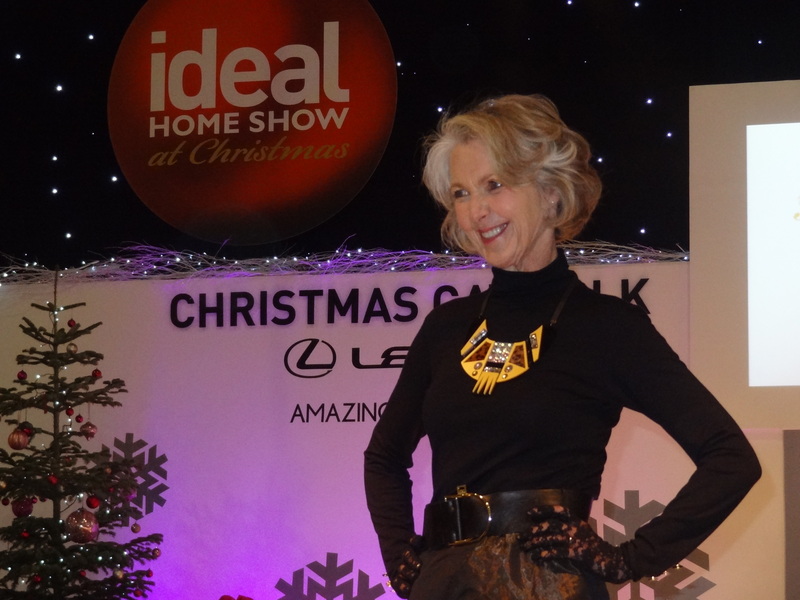 For two days of the show they strutted their stuff on the Christmas Catwalk. Models of Diversity is an inspiring group who, like the name suggests, advocate for more diversity in models. 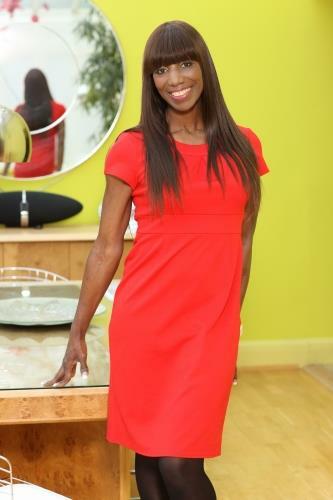 The organization was founded by Angel Sinclair, a former model, who started the campaign after appearing on Gok Wan’s Miss Naked Beauty in 2008 where she was struck by the diversity of people taking part, something she had never seen before on the catwalk. 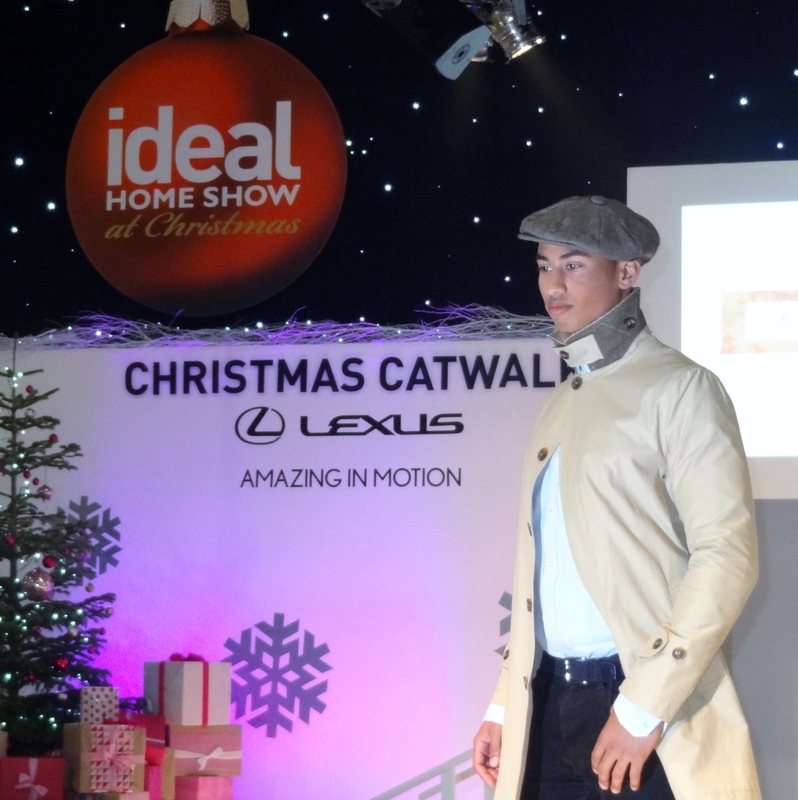 Jostling among the vast array of exhibitors at Earls Court for the Ideal Home Show at Christmas, the catwalk drew in a large crowd, who realized what was happening on the catwalk was not your usual fashion display. It was interesting, diverse, fun and an inspiration. 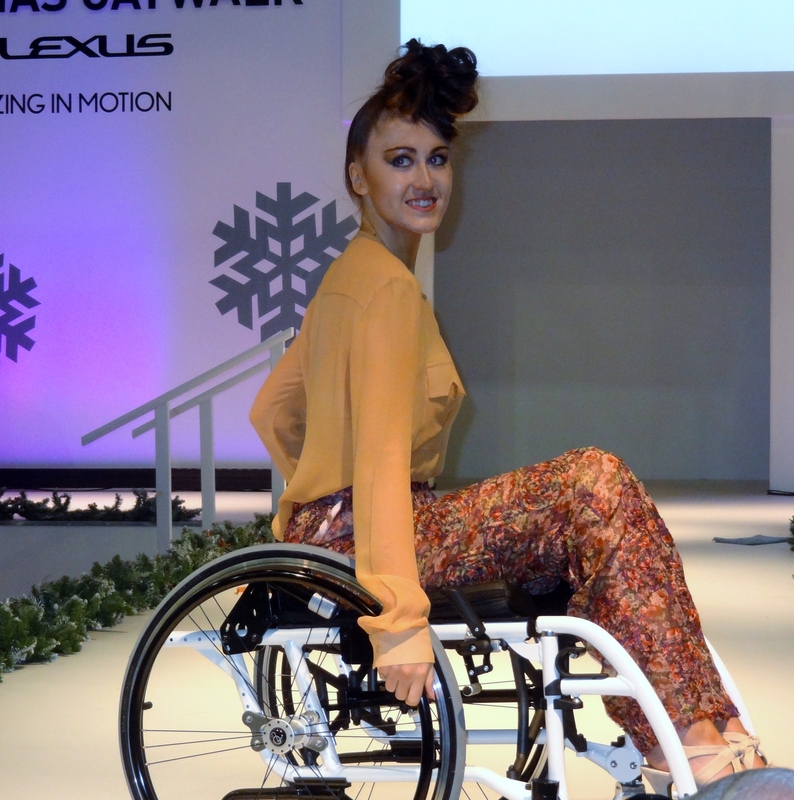 Among those parading the catwalk were mature model Annabel Davis, model Doubra Okah, who was born with chorea-dyskensia, a condition which impedes her walk, glamor model and former Big Brother contestant, Victoria Eisermann, personal trainer and amputee fitness model Jack Eyers and British Paralympic long jump silver medallist Stef Reid. 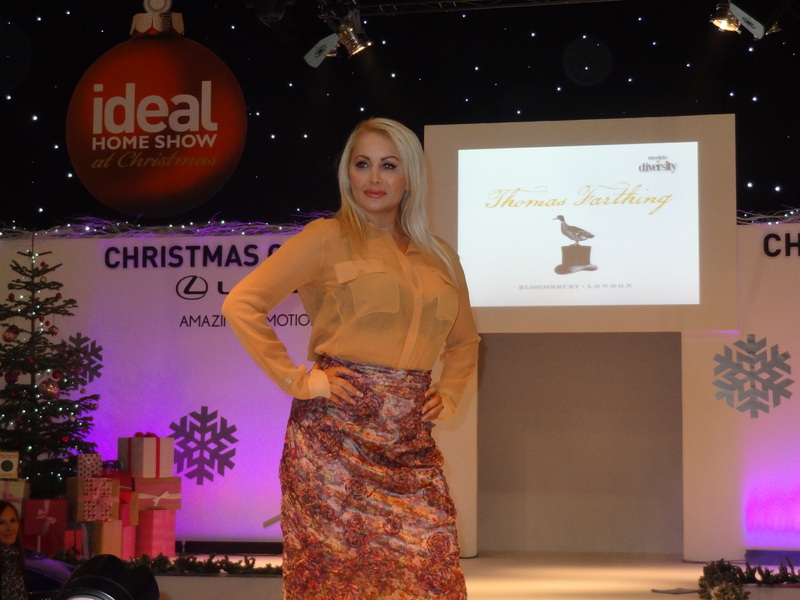 Also appearing on the catwalk was Samantha Tomlin, Models of Diversity ambassador. 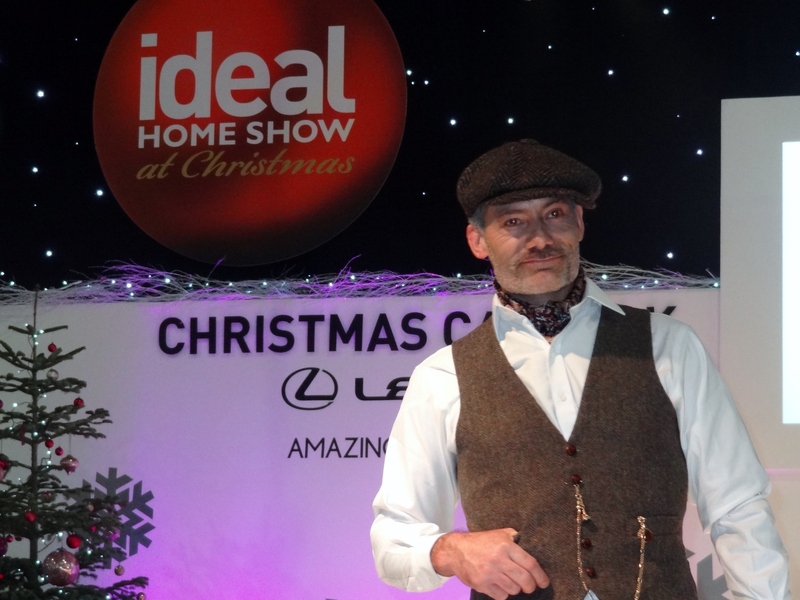 The gents of the show were a highly entertaining bunch and it was good to see huge swathes of classic Harris Tweed. While designer Kitty Ferreira brought a ray of sunny yellow to the catwalk and you can read about it on their website blog: Kitty Ferreira and watch on the videos below. 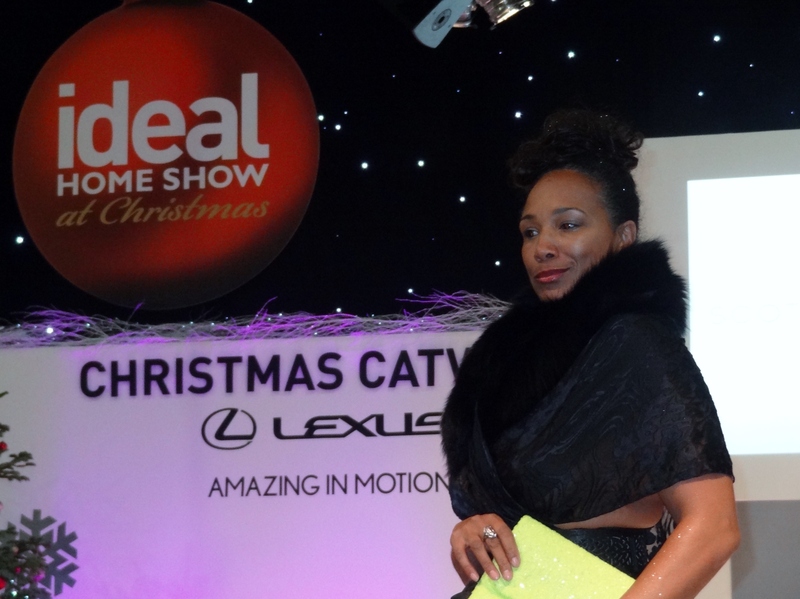 All the while Angel Sinclair watched closely from the sidelines, jumping up and proudly cheering on her models. And I was curious about the mix of people striking their poses on stage. I was interested in the journeys they have taken and the stories they could tell. Wrapping up a successful show, the seemingly modest Angel Sinclair walked onto the stage and gave a quick wave before disappearing. 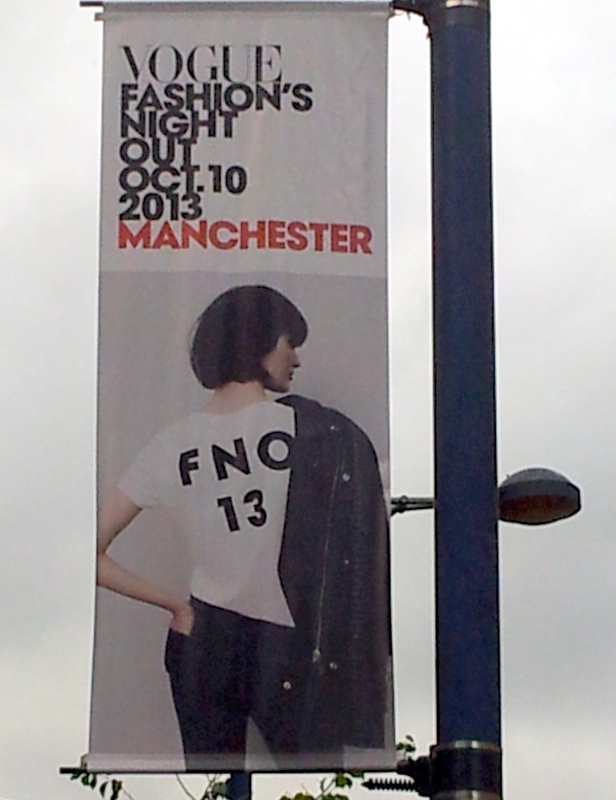 For its fifth year, Vogue Fashion’s Night Out made its debut in Manchester. 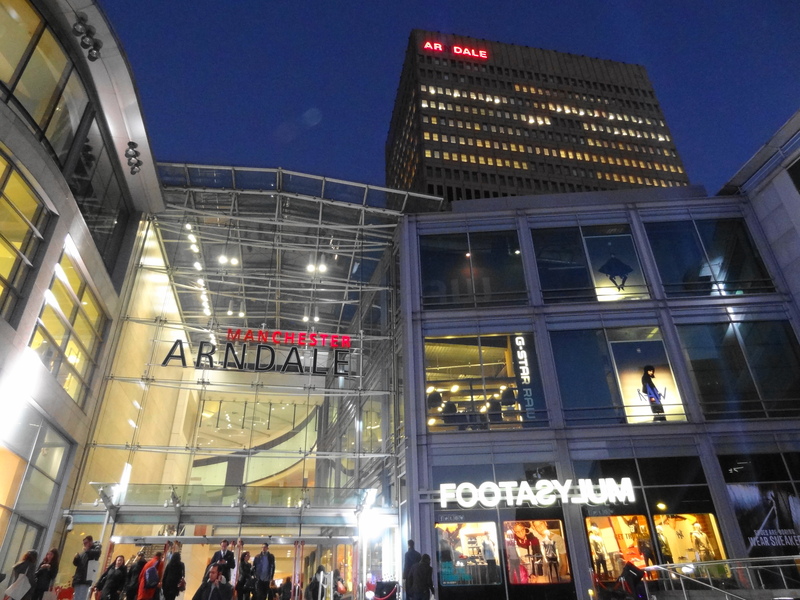 Mostly centred around the Arndale Centre, on the streets outside billboards and posters marked the event and the city’s fashion conscious turned out to see what all the fuss was about. Inside the busy shopping centre it was business as usual but most of the shops got in on the act, displaying posters and many with various promotions taking place. 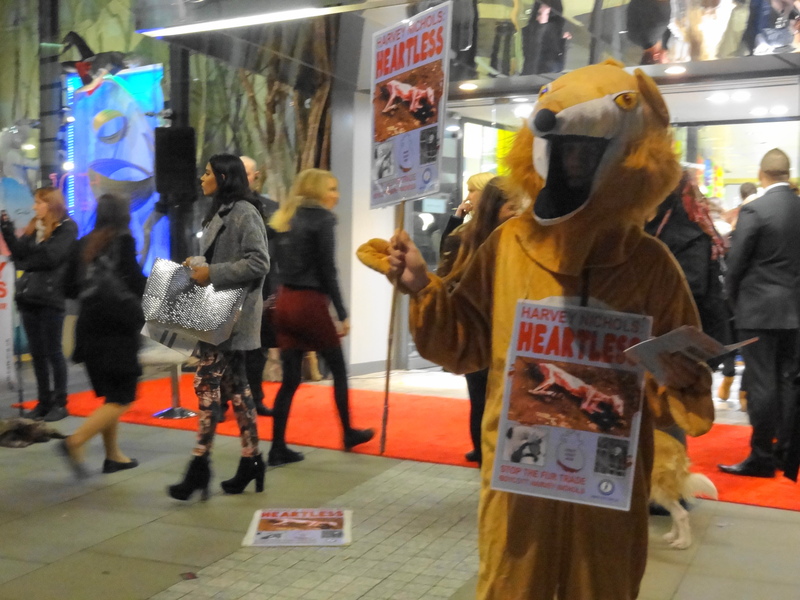 A pop-up catwalk appeared and a huge pair of red shoes caught the attention of passers-by. 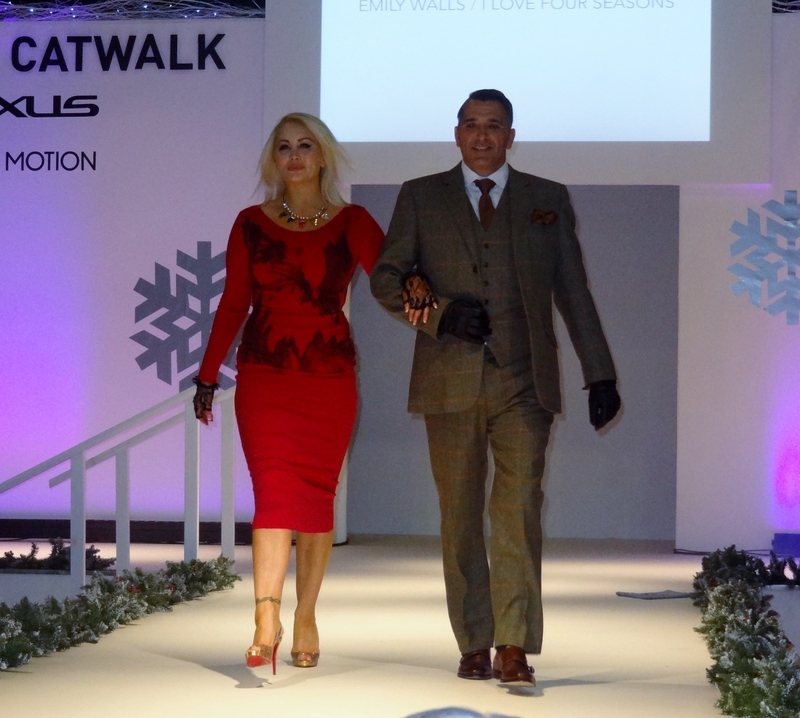 On the catwalk various stores participated in showing their latest collections, including Dorothy Perkins with its blue and leather themed attire. Meanwhile it was all happening at Selfridges who had a no expense spared approach to the evening, which paid off, as the store was heaving with a throng of customers, who were met outside with a bright yellow DJ van. 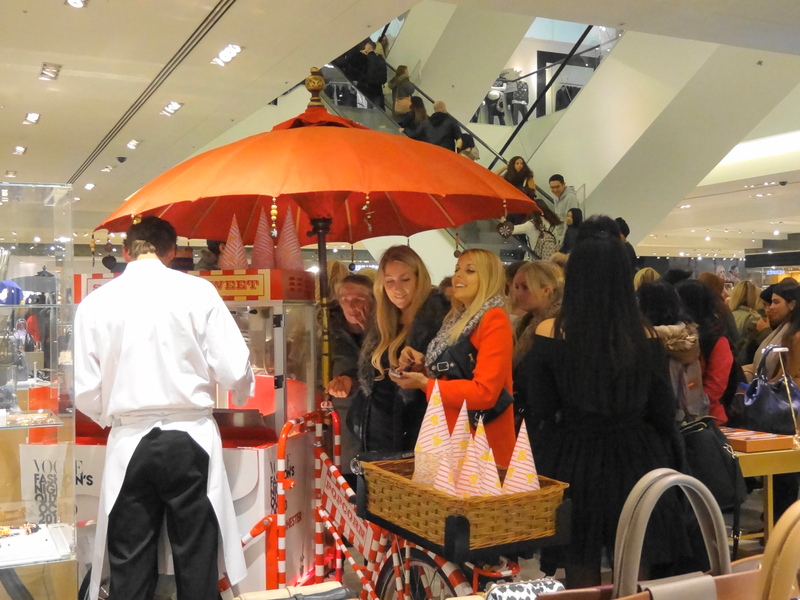 While inside the shop they could feast on the many portable stands which were serving crepes, popcorn and slush drinks. A trip upstairs saw drinks being mixed and there was even a booth where you could pop in for a spray tan. You could even get carried away in a big yellow Selfridges bag. Among the many fashion designers from Stella McCartney to Erdem, it was good to see the man dubbed “The King of Vintage” by Harpers Bizaar, William Vintage with a few rails of carefully selected and beautiful gowns. 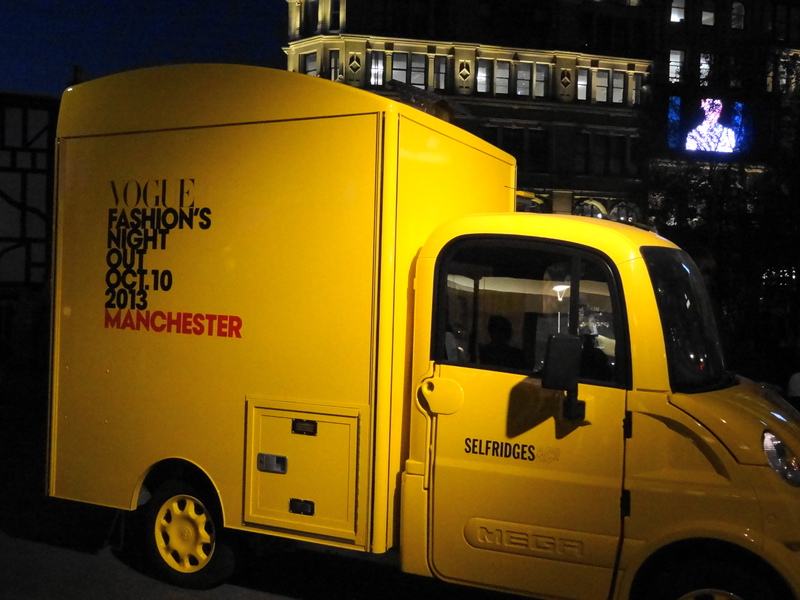 It was successful foray out of London for Vogue’s Fashion’s Night Out and the city of Manchester came out, shopped, spent their money, partied and had a good time. 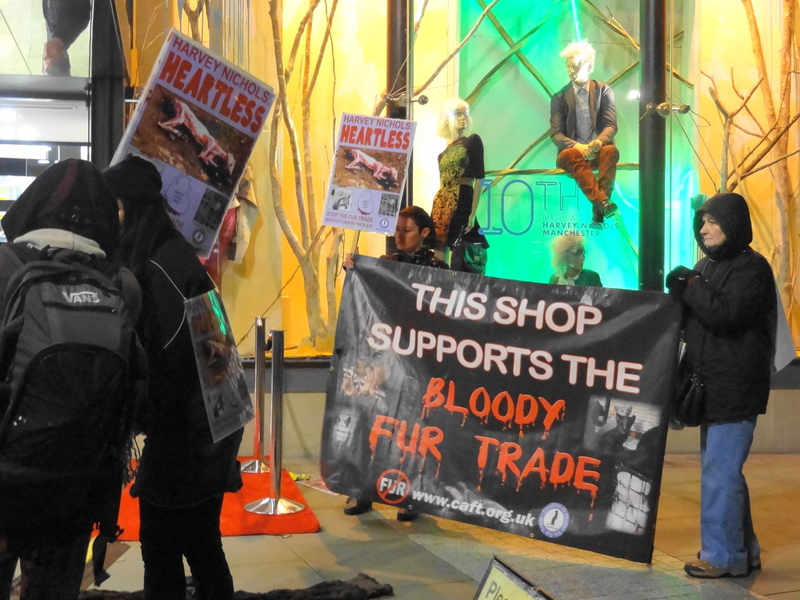 Among the glamor, high heels and skin tight jeans a few protesters made their feelings known as they stood outside Harvey Nichols with their placards. 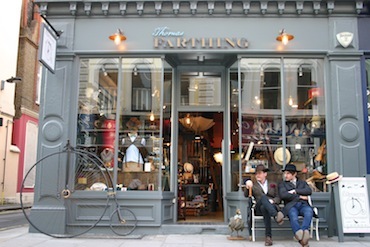 They caught a few interested stares from passers-by who then went about their usual business.